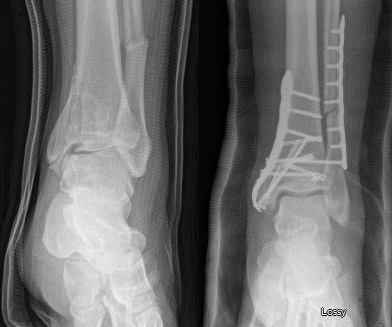 Here are some clinical case photographs from cases I have done in the last year. 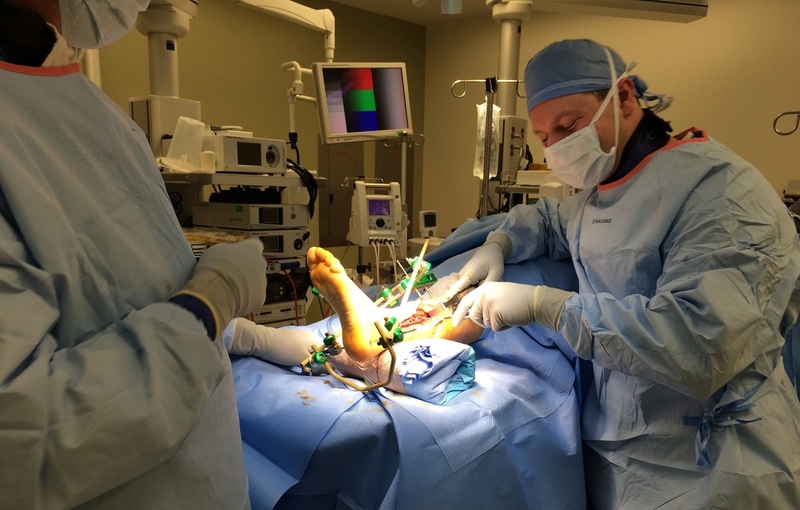 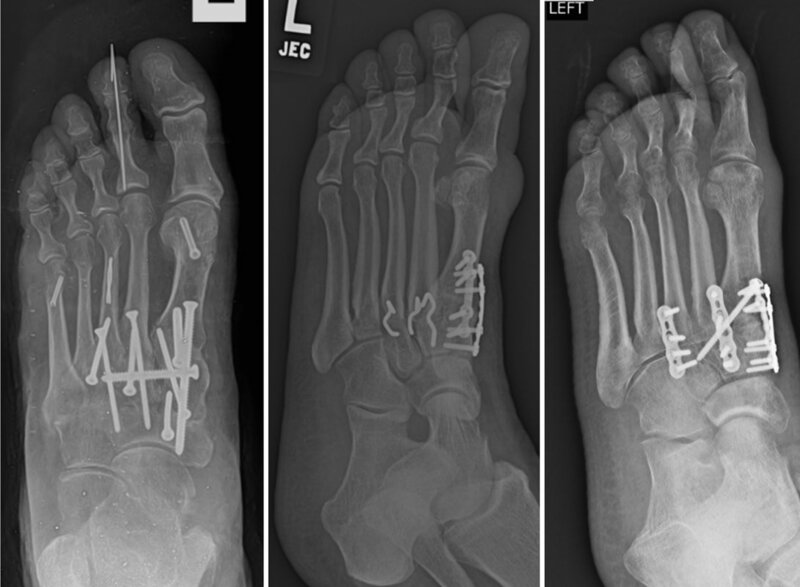 I perform surgery for all types of foot and ankle conditions from diabetic foot care (elective, prophylactic, curative, and emergency), forefoot reconstruction (bunions, hammertoes, plantar plate rupture), rearfoot reconstruction (flatfoot, ankle fusion, ankle replacement), soft tissue (tendon and ligament repair of the foot and ankle, neuromas, soft tissue masses), and trauma (metatarsal fractures, rearfoot, fractures, ankle/Pilon fractures, tendon/ligament repair). 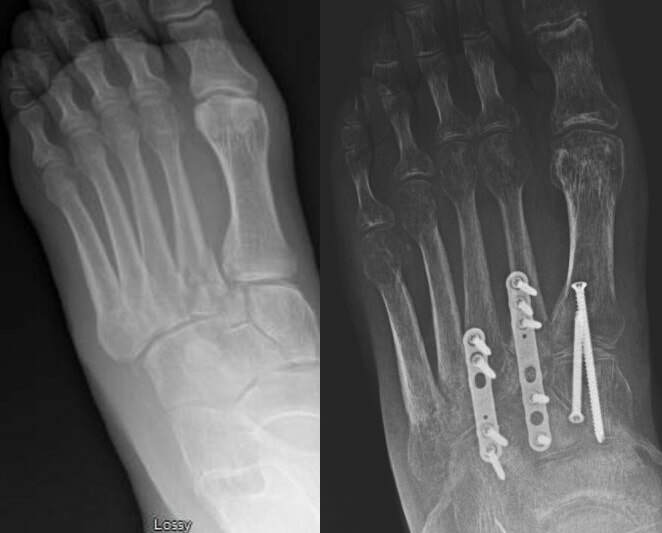 Talus osteochondral lesion treatment with arthroscopy and microfracture technique (left) and ankle ORIF w microfracture (right). 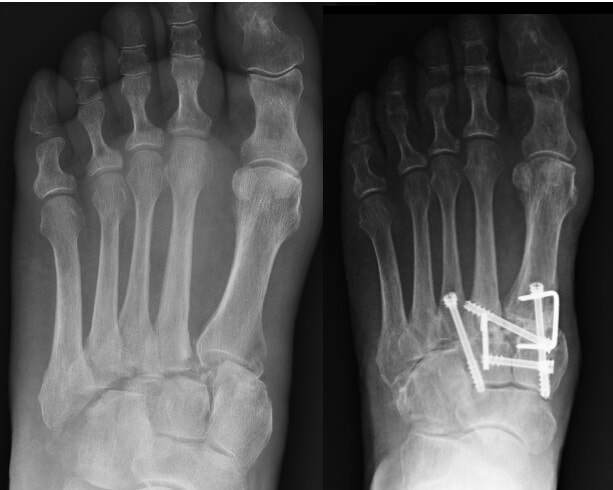 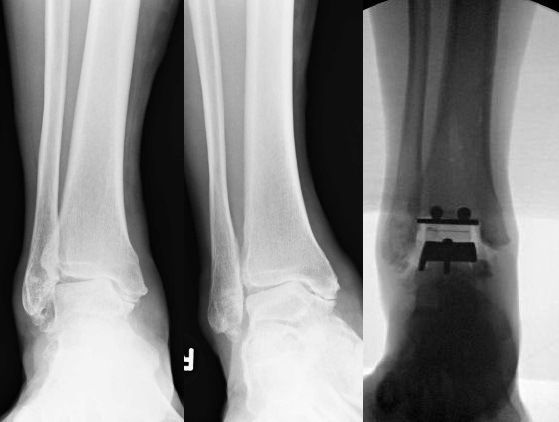 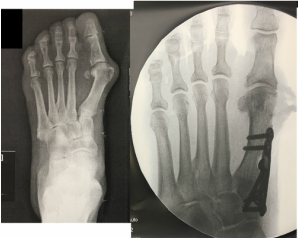 Arthrodesis of the midfoot for degenerative arthritis (left), or post acute trauma performed as joint prepped fusion (middle) and ORIF without joint prep (right).